San Francisco lies in ruin, as the war for survival between man and ape rests on the shoulders of one solitary soul. Prequel to the hit Fox film! 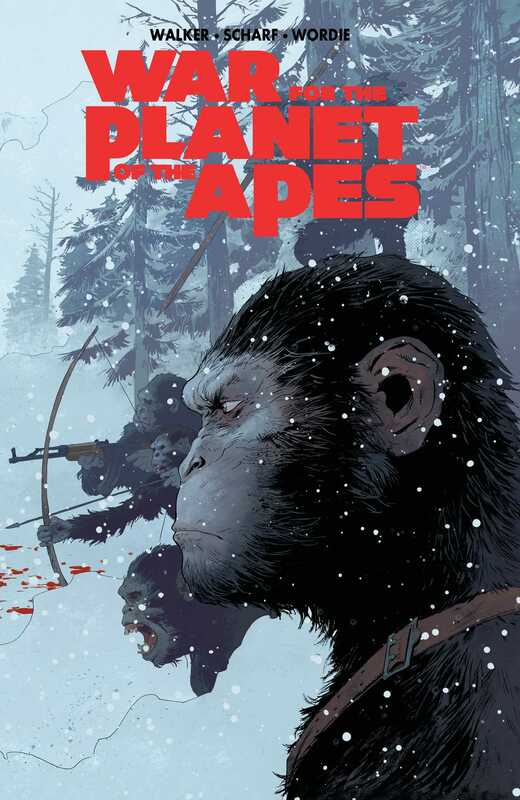 Written by David F. Walker (Tarzan on the Planet of the Apes) and illustrated by Jonas Scharf (Warlords of Appalachia), Caesar and his Apes face the Colonel and his army in War for the Planet of the Apes!